20th Century Fox has partnered with the World Wildlife Fund (WWF) to help raise awareness around the issues facing the Amazon rainforest. 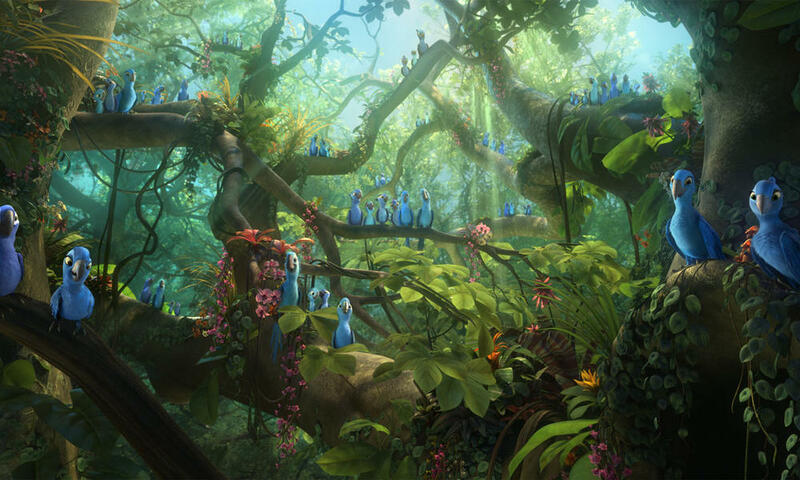 Fox and WWF have developed a PSA featuring the characters from Rio 2, the latest animated feature from Fox's Blue Sky Studios, which features a family of Spix's macaws trying to save the rainforest from deforestation. In addition to developing the PSA, Fox is donating $100,000 to WWF to support the organization's Amazon conservation efforts, which they have conducted for more than 40 years. WWF's work helps preserve the wildlife population from illegal poaching and establishes networks of protected tropical forest to combat deforestation. The PSA will also be featured on all Rio 2 DVDs and Blu-Rays, which are now in stores. To join WWF in protecting the rainforest, text MACAW to 20222 to donate $10.